Highland Fuels can supply a range of oil tanks for domestic properties. Working alongside our authorised engineers we supply and install a range of tanks including single skin tanks, dispensing systems and bunded oil storage systems. These tanks are available in a range of sizes and shapes to fit in with your available space. You can get up to 6 months interest free payment option if you are a member of our Payment Plan. Up to six months interest free payment option if you are a member of our payment plan. Frequently checking the oil levels in your storage tank is both inconvenient and unnecessary, especially if you have a busy work and home life. Fortunately we have the solution in the form of an oil watchman. This handy device monitors the oil level in your tank with an electronic gauge. This can be checked at home or in the office, saving you the hassle of manually checking it. It even alerts you when you are running low, allowing you to contact us and arrange your next delivery. 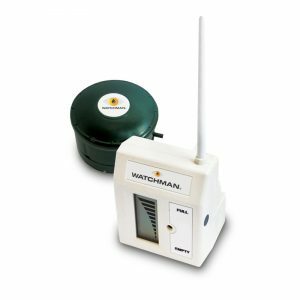 You can purchase the Sonic Watchman in our shop by clicking HERE. All our Domestic Tanks are available to purchase in our online shop.